Dry ice blasting was used in this emergency fire restoration project. Blast It Clean is known among clients and disaster recovery companies for our 24-hour emergency response capability. Our dry ice blasting service is there when you most need help. In this case, we responded to an emergency fire recovery job. Dry ice cleaning provided by Blast It Clean was a much-needed solution when the rain and moisture brought out mold issues in the wood structures. Dry Ice Cleaning is also frequently required by mold remediation projects.  From October 2018 to November 2018, Blast It Clean participated in a restoration project and offered our dry ice cleaning specialty in mold remediation, fully removing the mold leaving the wooden structure in like new condition. The photo above showed a before/after comparison of the ceiling structure. On the left, we could clearly see the mold between the wood ceiling structures. On the right, we proudly display the successful result of dry ice cleaning. The restoration team was lead by Jake Liles, one of our experienced project managers. “Dry ice cleaning is by far the most effective, environmentally-friendly solution for mold removal. It is also the safest way.“ Said Jake. The project included all surfaces in the structure, including the 2” x 4” studs, decking, Joist, and Joist Decking. Our crew blasted over fifteen thousand sq ft of floor surface using dry ice. The total surface that required mold remediation was more than fifty-six thousand sq ft. Upon the completion of Dry ice Blasting, the Blast It Clean team carried out a fully detailed cleaning. The cleaning included broom sweeping and a HEPA vacuuming process. The project totaled over 10,000 square feet of concrete ceiling to be cleaned within a 2 day time frame. We completed the project utilizing a 3 man crew with 2 men performing dry ice cleaning. Dry Ice and Baking Soda were the two blast materials we used for this project. The Baking Soda would act to remove the soot buildup and deodorize the surface. For the areas where dust was a concern or no odor was present, Dry Ice was utilized.